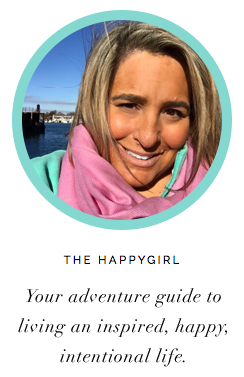 Here at the Happygirl studio we just love happy girls, girls who make a committment and give it their all. They are determined, focused and they aspire to live a knock-out exquisite life. Happygirls are people like Olivia Ward, season 11 winner on NBC's The Biggest Loser and her sister Hannah Curlee, runner-up. We are smitten with them. For 22 weeks, Olivia burned off 129 and Hannah said goodbye to 120 pounds through challenges and hard work. There was literally nothing that was going to stop these girls from winning. What we love about these incredibly strong women is not just the focus each sister had for herself but they vowed they would do this together, pushing each other on even if meant that the other would be the winner. It turned out OK, though. 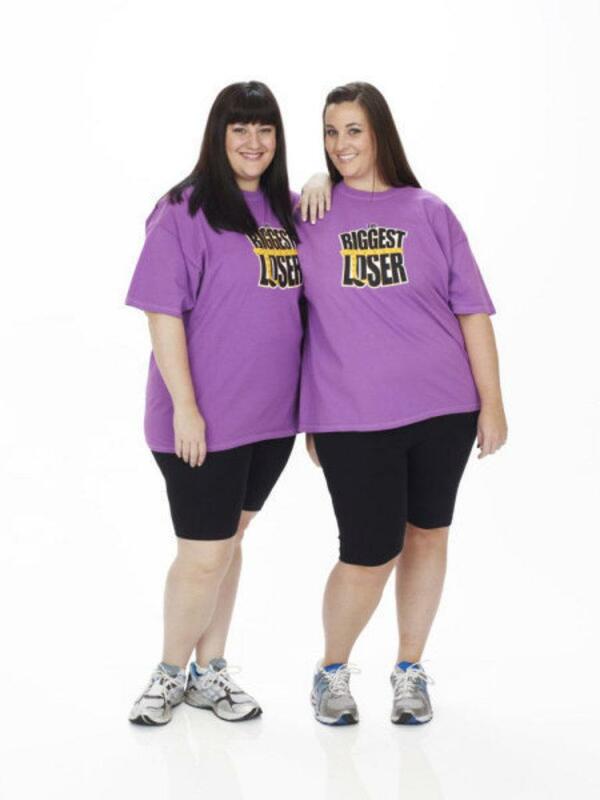 Olivia went on to win the title of the Biggest Loser and her sister Hannah, runner-up! Not bad for two girls who at one time were at the lowest point of their lives. THIS is when you find your strength and make a decision to change your life. And this is exactly what Olivia and Hannah did. When we spoke with The Biggest Loser trainer Bob Harper (read our interview with him here) he said the real test was maintaining the weight loss. Have Olivia and Hannah been able to do this? Oh, yes they have! We got a chance to talk with these two power sisters about weight loss, inspiration and their favorite happy things. Happygirl: Congratulations to both of on your success during "The Biggest Loser." Was there ever a point where you thought "I can't do this?" If so, how did you push through it? Hannah: Well, for me after the first workout I felt horrible. I thought to myself, how have you let yourself get to this point? I watched other contestants who could run and jump and I was so far behind them physically. I remember thinking; it will be a miracle if I last! Then, the Purple Team made it through the first week. I started working closely with Jillian Michaels and Bob Harper and they showed me the power of mind over body! It was an everyday process for me, but when I realized that I was worth the work, things changed. I started changing my mind about the way I felt about myself and the weight loss just caught up! Olivia: I had a week on the ranch where I was at 220lbs. I remember it was such a hard mental week for me...that was the weight I had gotten down to many times to just gain it back. I was terrified that I wouldn't be able to break through that wall. I was so fortunate to win a challenge that allowed me to Skype with my husband. He challenged me to break through the wall instead of running away like I had done so many times in the past. That week I stood on the scale & lost 16lbs. It was at that moment I realized that I was once & for all going to overcome my battle with weight. Happygirl: You both have been so inspirational, especially after the show was over and you continued to keep the weight off. You've accomplished so much and achieved incredible goals. Can you talk a little about why it's important to set a goal for yourself? What is a goal that you have now? Hannah: Goals are so important because it truly gives you something to work towards! Also, goals keep you motivated! Our first big goal was to make it to our one year anniversary and truly keep the weight off. As of May 24th WE DID IT!! That will always be a daily goal for us. The choices we make to keep the weight off. I like to think of goals as dreams. You dream them and actually put them into motion. All things are possibly when you believe in yourself but most of all, let others believe in you. One of my goals was to take this year and advance in the things I want in life. We wanted to start a blog but had no idea how or if anyone would be interested. We launched Myfitspiration.com and have had an outpouring of support. It has become a blog where others meet and share their own stories. Olivia and I have always dreamed of going into business together. Pre-Biggest Loser, we wanted to open a bakery (thank goodness that didn't work out) and instead we launched a blog about fitness, fashion and all things fun! Polar opposites! My goal was also to be more accepting of myself. I am learning that I can just be me and that is good enough! Of course we have had a lot of laughs and fun along the way. I also dove into the land of dating which has been nothing short of a comedy! Happygirl: Both of you have the most awesome, fun, honest, giving spirited personalities. Tell us about creating myfitspiration. Where did that idea come from and what can fans expect on the site? Hannah: With myfitspiration.com we wanted to create something for the everyday person because that is who we are. We wanted it to be inspirational and motivational but also light and fun. As the show started to air, we were shocked when all of a sudden we had fan mail, fan pages, and thousands of Twitter followers. It was an overwhelming amount of support! We knew we wanted to somehow keep in touch with the very people who supported us throughout the whole experience! Plus, it was a way for Olivia to screen potential dates for me.....JUST KIDDING! ;) We wanted it to be conversational because that is when Olivia and I are the most comfortable. 2 sisters sitting on their couch talking about life, laughing, but also talking about struggles, and celebrating successes! Happygirl: What lessons have you learned from "The Biggest Loser" and the MyFitspiration experiences so far? Olivia: You have to stay present in this fight for health...every day. I still get up every day and make a choice to be healthy or not. I'm not perfect by any means, but at least now I'm making conscious decisions. For me MyFitspiration has also become a place for us to flesh out some of these challenging topics. I love how our readers just go right along with us...it's awesome. Happygirl: Take us through an ideal happy day for you. Hannah: Waking up and thanking God for my new life, never taking it for granted. I'm a pretty clumsy lady, I usually have one or two pretty serious falls a week. So I usually have at least one bump or bruise I am Band-aiding! I love starting my day at a local Bootcamp class in Nashville. It is for people all shapes and sizes and all fitness levels. It pushes me to new places every day. Travel home and have a 25 minute quiet ride in the car when I realize I haven't even had the radio on because I am trying to get my legs to stop shaking from the workout. When I am with Olivia, we cook a healthy breakfast while answering emails and posting comments to our blog. Then I go to work if I am in town to H2U - a wellness group affiliated with HCA (health 2 you h2u.com) where I write a monthly health column and travel the country speaking about the importance of nutrition and wellness. After work, Olivia and I have a BL/MyFitspiration event speaking and meeting the best and most dedicated fans ever. There, we meet people that have lost weight with us and are there to tell us about their success. We end the day with another intense workout usually CrossFit or high intensity spin (our favorite being Soul Cycle). Then we get up and do it all again tomorrow. What a blessed life. Many more exciting things in the works! Happygirl: Hannah, Olivia, what 5 things make you happy? 1. Exercising with an enormous amount of sweat. 2. Working with Olivia and watching my family lose over 550 lbs on the road to health. 3. Sharing the amazing story that is Season 11 of The Biggest Loser. Who we met and how they helped change our lives. 4. Putting on a pair of jeans without Crisco. They fit!! 5. The life that is ahead. A life of health, happiness and the mental tools to take it all in and most of all never take it for granted. Olivia's biggest motivation for going on NBC’s The Biggest Loser was being 261 pounds, 35 years old and diagnosed with Polycystic Ovary Syndrome (PCOS) and being told she would likely never have children if she didn't lose weight. As an opera singer, she was also tired of losing coveted roles to people who looked healthier - it wasn't enough to just have a great voice. She received a degree in vocal performance at the University of Alabama, and master's degrees in vocal performance and opera performance from the New England Conservatory of Music. A poor diet and no exercise led to her obesity, and the weight gain continued as she was diagnosed with PCOS when says she "completely gave up." After spending 22 weeks on the Biggest Loser Ranch, Olivia lost 129 pounds and gained a new happier and healthier life. Olivia continues to maintain that weight loss with 90 minute cardio work out 6 days a week and travels the country to speak about fitness, fashion and all things fun!